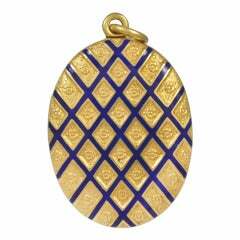 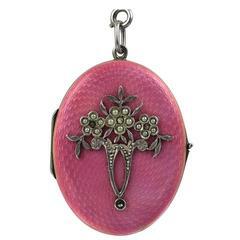 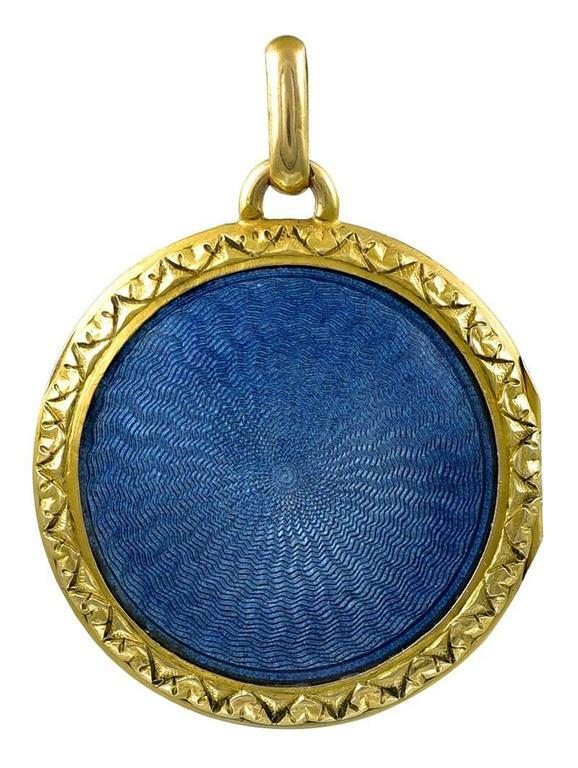 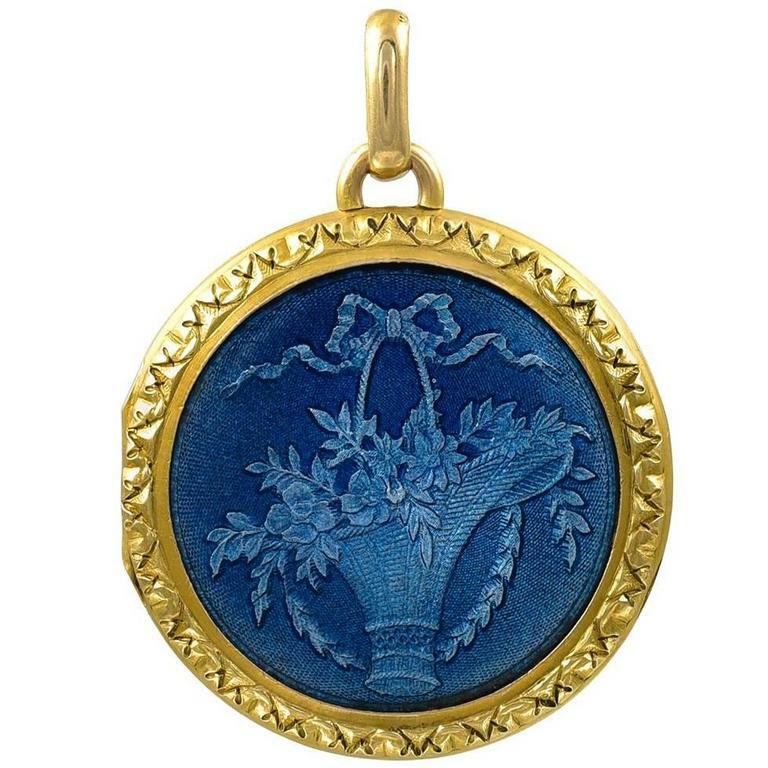 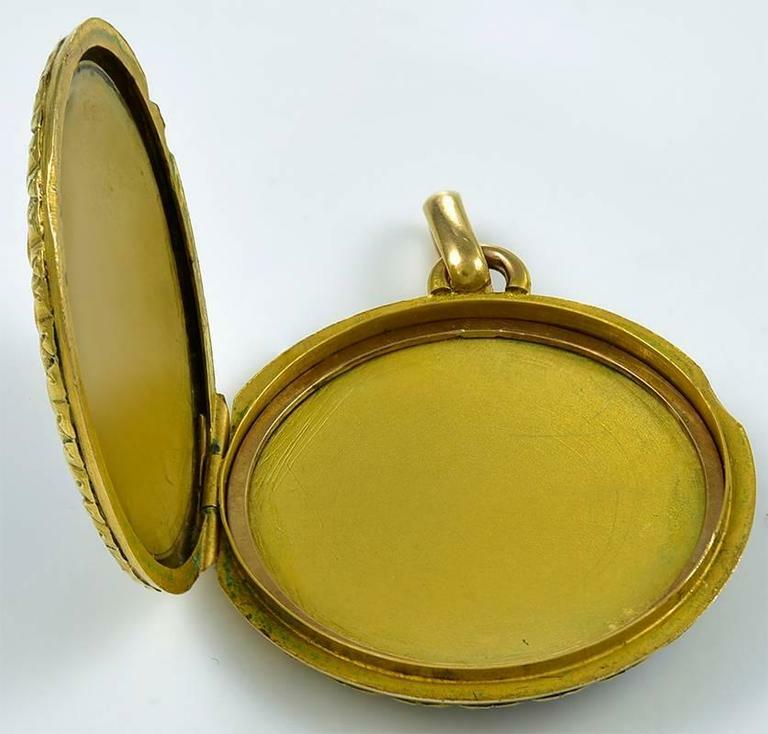 Exquisite antique locket, with double-sided french blue guilloche enamel. 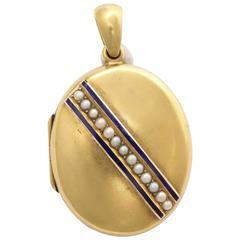 18K yellow gold. 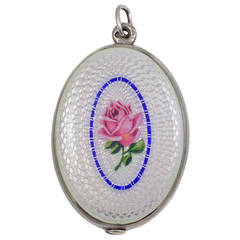 On the front is a beautiful basket of flowers, tied with a ribbon. 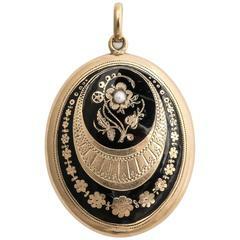 Intricate engraved border front and back. 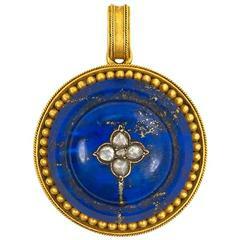 1 1/8" in diameter. 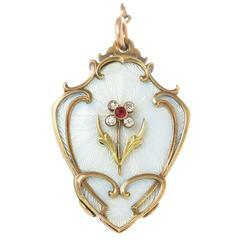 Alice Kwartler has sold the finest antique gold and diamond jewelry and silver for over forty years.